The number of so-called “nones” — individuals who do not identify with any organized religion — is rapidly growing in the United States. New research suggests that this trend could be driven, at least in part, by a disconnection between parents and their children. 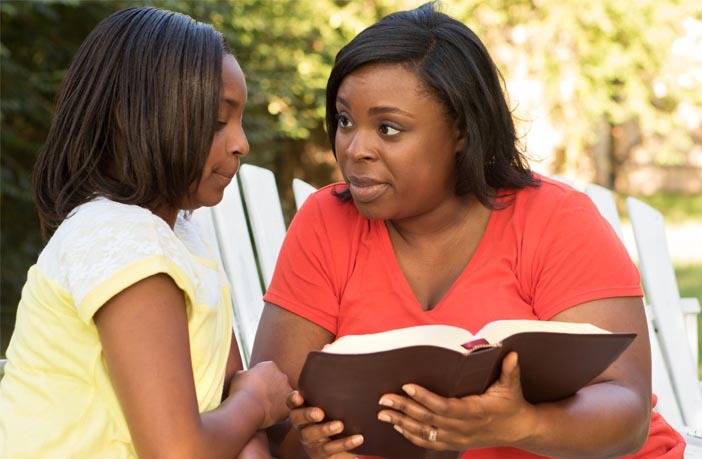 The study, published in the journal Psychology of Religion and Spirituality, found a large gap between the religiousness of parents and their teenage children. “In an earlier publication, Joseph Hammer, Michael Nielsen, and I developed a new scale for measuring how secular someone is,” said study author Ryan T. Cragun of the University of Tampa. The Nonreligious-Nonspiritual Scale (NRNSS) measures secularity along two spectrums: from nonreligious to highly religious and from nonspiritual to highly spiritual. “If we measure how secular someone is, it’s possible to develop a universal measure of ‘religiosity’ that applies to all people because it isn’t measuring the specific ways in which they are religious but rather it measures how far away from being secular they are in a generic fashion,” Cragun explained. “Once we had a measure that could be used regardless of someone’s religious worldview, we thought a useful application would be to compare the religious/secular distance between parents and children (this was largely inspired by co-author Nick Autz, who was a high school student at the time we undertook the project),” Cragun said. “There are two things people should take away from the study. First, the NRNSS is a very useful instrument for measuring how secular people are and it can be applied across religious worldviews,” Cragun told PsyPost. “The major caveat is that the study was conducted with students at one high school just outside of New York City and their parents. A more representative study replicating our findings is really necessary in order to confirm our findings,” Cragun said. “In the UK, the nonreligious now outnumber the religious and, if patterns continue as they currently have, it won’t be too much longer before the US follows suit and less than 50% of Americans are religious,” Cragun added. The study, “Religious/secular distance: How far apart are teenagers and their parents?“, was authored by Ryan T. Cragun, Joseph H. Hammer, Michael Nielsen, and Nicholas Autz.